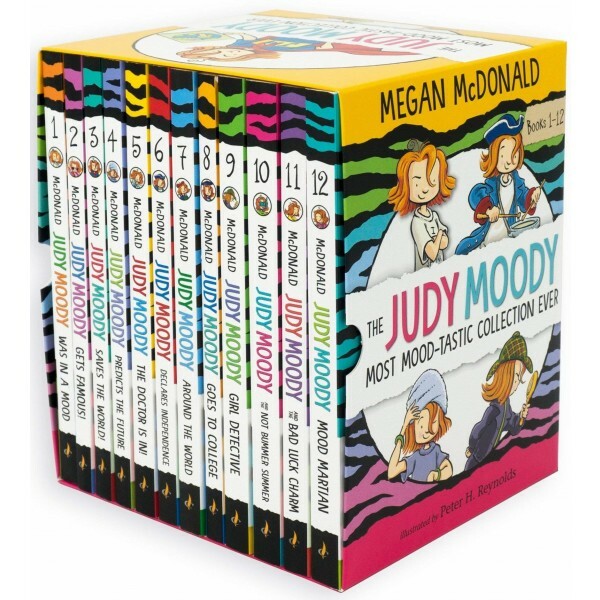 Following the relaunch of the Judy Moody series with a MOOD-tastic look, this boxed set brings together the new editions of the first dozen beloved stories, complete with colorful box art by Peter H. Reynolds! A perfect gift for Judy Moody uber-fans! Everyone's favorite exuberant third-grader is celebrated like never before with a GIANT set of her first twelve adventures. 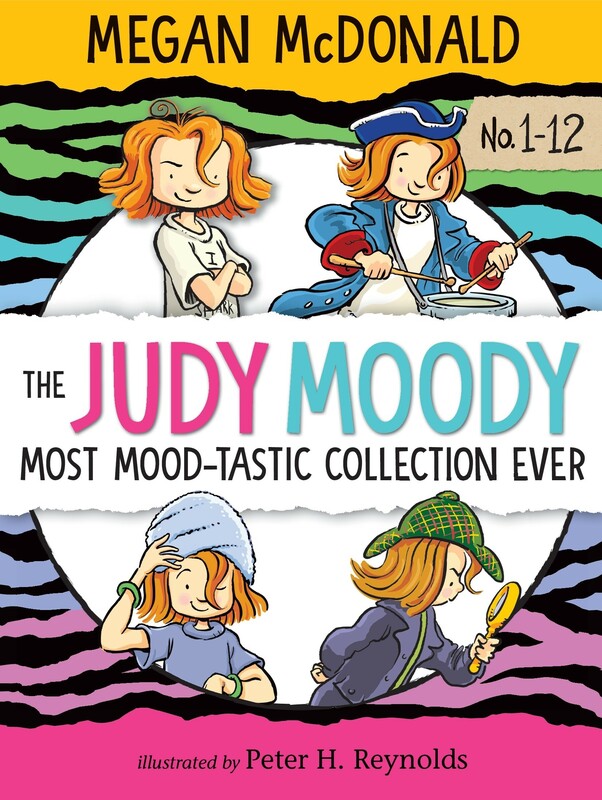 From bad moods to saving the world, solving mysteries to predicting the future, Judy's many memories — and moods — provide hours of entertainment. Whether they've followed Judy for years or are encountering her for the first time, readers will get a thrill from this cool, colorful, and totally RARE boxed set. 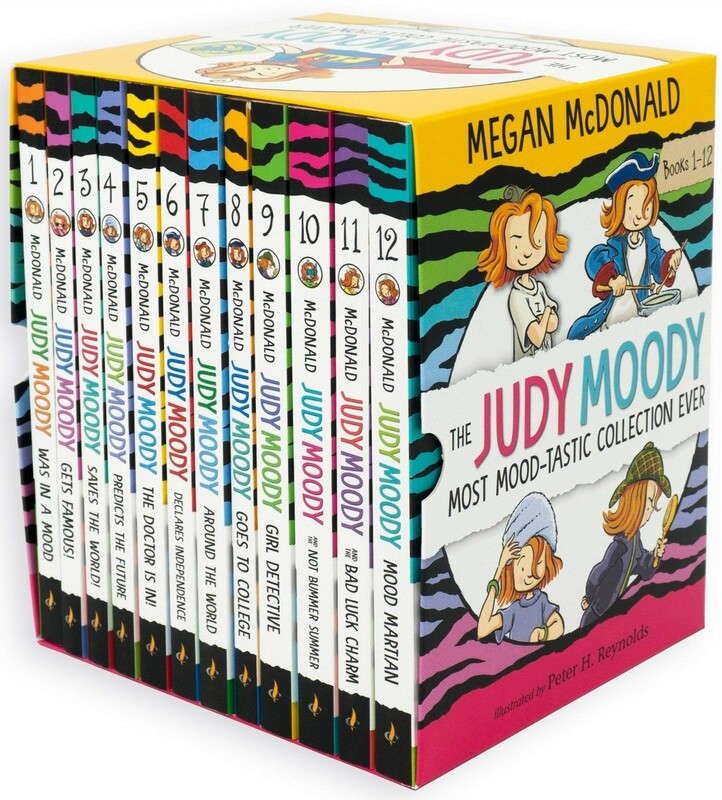 This set includes the first twelve of Judy Moody's adventures, from the original Judy Moody Was In A Mood to Judy Moody, Mood Martian. For the full selection of Judy Moody books, visit our Judy Moody Collection.